There’s no overstating Cologne artist Wolfgang Voigt’s influence on electronic music. His Mike Ink and Studio 1 releases helped shape minimal techno, while his Gas project laid the groundwork for abstract dub techno. Voigt also launched Profan and is an owner of Kompakt. It’s no wonder his four out-of-print Gas albums have been fetching large sums on the second-hand market. Thankfully, Kompakt has seen fit to re-issue all four historical full-lengths in a box set with minimal remastering. http://charlotteskitchendiary.com/2015/12/31/mulled-wine/ The opening tones of Gas’ first, self-titled album are almost orchestral. While they surge, undertones tease the mind with barely discernible movement. The second track introduces a distant kick drum, like a beat overheard outside a dance club. Textured noise moves almost sculpturally. Soft clicks on the third track sound more like a living creature than old vinyl. They are gradually joined by plucked strings. The fourth track is busy and brutal, with samples squashed into a grinding rhythm. The fifth contrasts deep bass with a snippet of treble melody. An echo drone gradually creeps in. The sixth and final untitled track is even more dense. Floodgates of sound pour out. Each of the six tracks is over ten minutes, filling an entire vinyl side. Like the first album, Zauberberg begins with gentle ambiance before moving into darker territory. On the second track, ominous minor chords move over panning, pulsing bass. There are crackles as well. The third and sixth tracks are dub techno blueprints, with sustained chords over chugging basslines. I think I hear voices on track six. The fifth track stands out for a pounding beat which alternates between channels. Track seven is my favorite out of all of them, with nostalgically decaying notes and varying surface noise. The synthesizer parts glow with energy. Königsforst introduces new sounds to the Gas toolkit. The first track is uptempo, with booming, slightly distorted bass. Synthesizer notes warp and waver in ways not heard on the first two albums. Track two uses panning beats similar to the fifth track of Zauberberg, but with notes that sound like an intake of breath. It’s a weird effect, like sound is being drawn into the mouth of a tunnel. Arpeggios chime in like an electronic clock or the start of a pre-recorded message. The third track sounds like an old symphonic recording played on poor equipment. Track four reminds me of the third track from the first album, with plucked notes and puttering, muted percussion. Track five feels like swimming, with horn-like sounds mingling over an ever-present sea of bass. The final track is almost too repetitive even for me. It sounds like a Philip Glass composition, only more muddled. 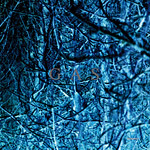 The last Gas album, Pop, was released in 2000. From the beginning, it is evident that Voigt was expanding his range. The opening track sounds live, with meandering chords over the hiss of white noise. The second track combines slow-changing loops with a breathy sound, like air escaping from a pipe organ. Track three is built on strange water and wind sounds. The fourth track is clear and clean in comparison, with a short attention-grabbing loop. Track five has long notes over waves. It’s as though Voigt were sitting on the beach with his keyboard. The sixth track plays with the sound of a tape drop-out. The glitch always arrives unexpectedly. Track seven is a continuation, but the notes decay in subtler ways. Listening to all four Gas albums in a row is almost a religious experience. These albums are beautiful and timeless. Voigt’s music is heavy with ideas—in fact it’s difficult to focus on so much detail. It’s electronic music heard through a smoky haze of incense, fragments of color from a stained glass window meticulously crafted, stone columns chipped with age.